May I start by saying a very Happy 4th of July to everyone! This day of the year has been deemed my husband’s favorite day of the year. It’s a tradition in the Blomberg family to all gather at Grandma Myrtle’s house for a cookout. If you know the Blombergs, we are not a small family and when everyone is crammed into Grandma’s house, things are tight- but always worth it. Usual total family count is around 45 people and that’s not including the other guests that sometimes get along to join us. There’s always a ton of food and usually a good old-fashioned kickball game played by the men and kids. It’s a lucky day if there’s no blood spilled or fight’s picked, but hey when you are competitive- there’s bound to be one or the other. So in preparation for the day tomorrow, I decided to make a little treat to share with everyone. I found these of course on Pinterest and thought I should give them a try. 1.Make or prepare your sugar cookies and let them cool completely. 2. Take the white frosting and frost about 6 cookies at a time. 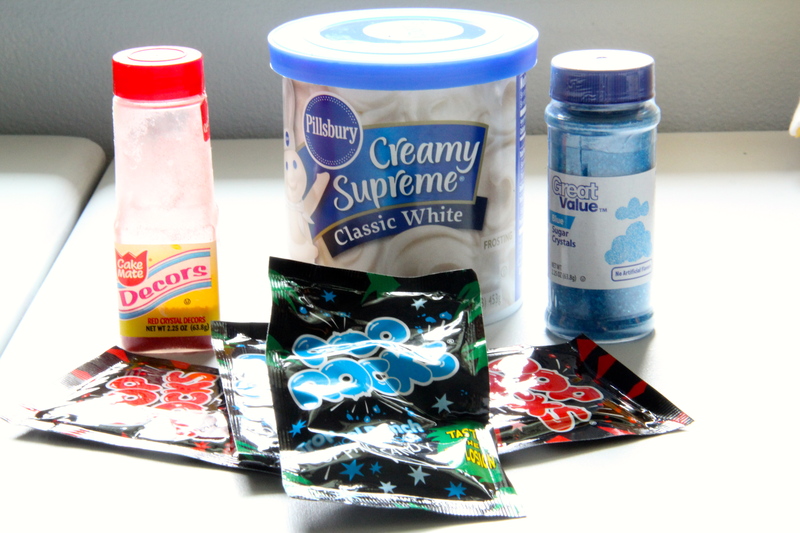 This will help the frosting from drying out too quickly making the sprinkles not stick as easily. 3. 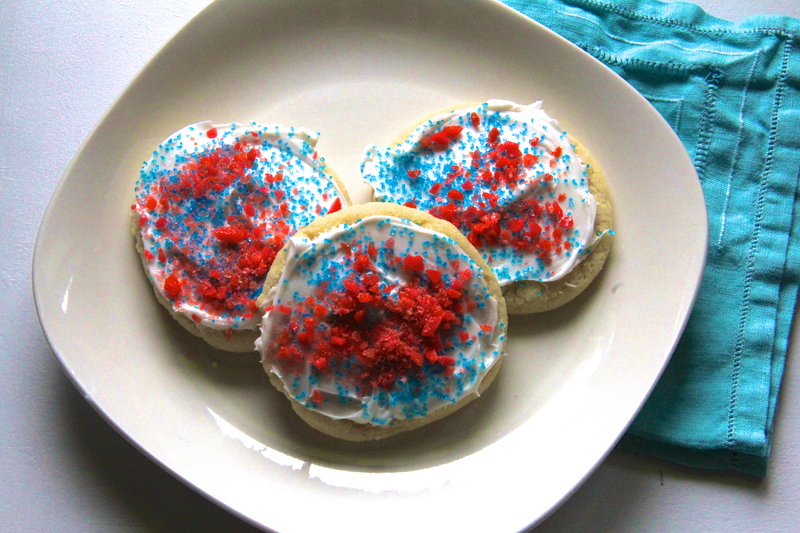 Sprinkle the frosted cookies with the sugar sprinkles first.Then if using red sprinkles, be sure to use the contrasting blue pop rocks for that cookie. (Vice versa for the other set of colors.) 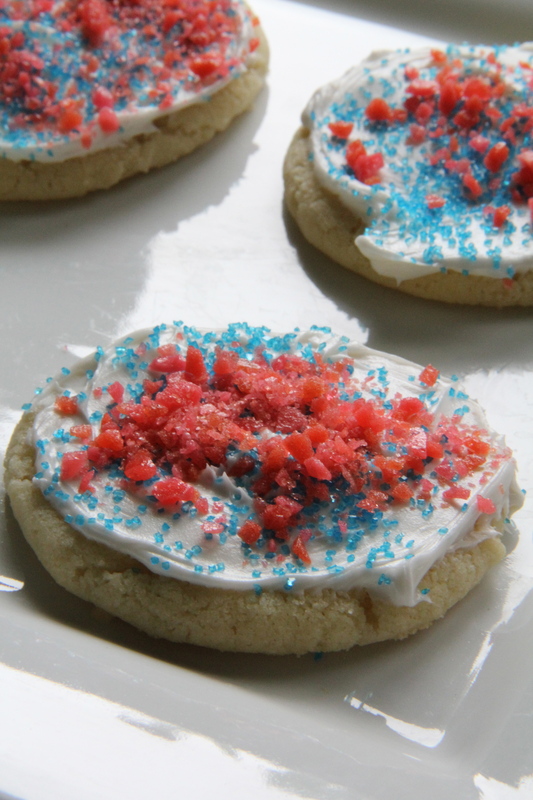 The pop rocks should be the last thing you put on the cookie. 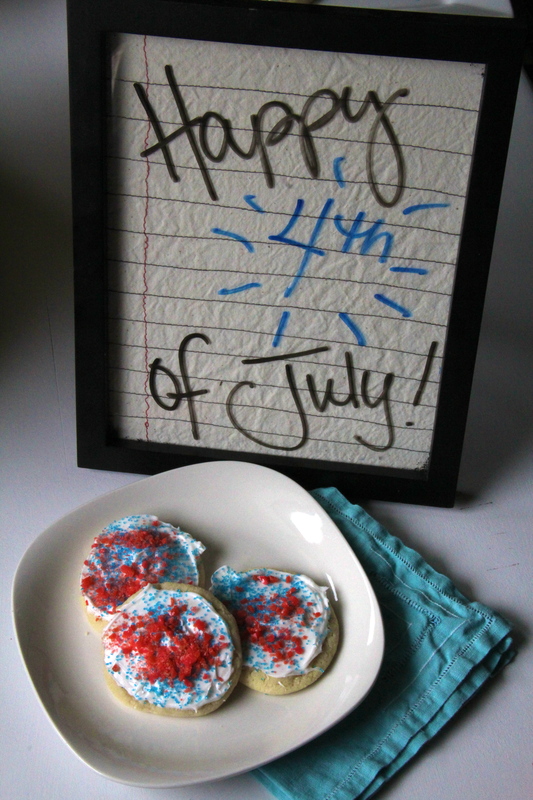 If you have kids, this is a great recipe to let them help decorate. These are a joy to eat because of the little crackle and pop you get in your mouth. 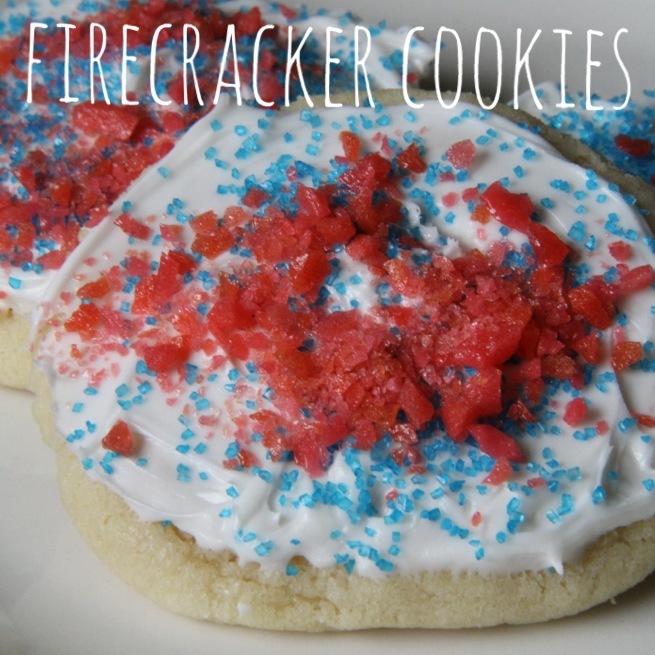 It’s a bright and fun finished product that will help you celebrate our nation’s Independence Day. Enjoy! oh emma, how sweet of you to share all of this, mostly your little story. I love family things and I am so happy the Blombergs do also. have a great 4th, and we will also as we celebrate at the mayport naval air station rv park….it is gorgeous. love you and “ALL” . So fun! You are THE hostess with the mostess (even though you are hosting this one – but still…it’s true)!